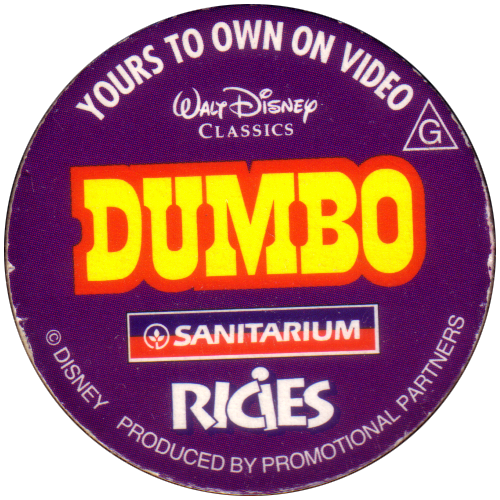 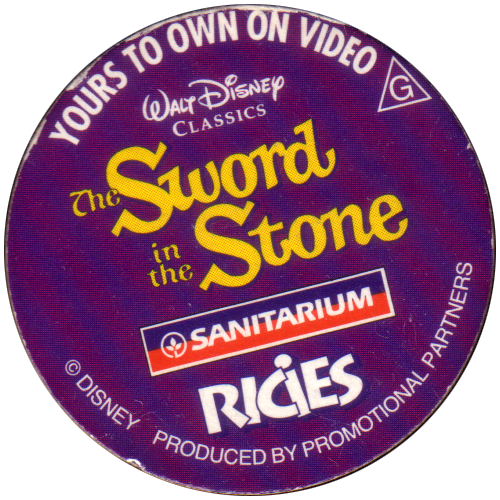 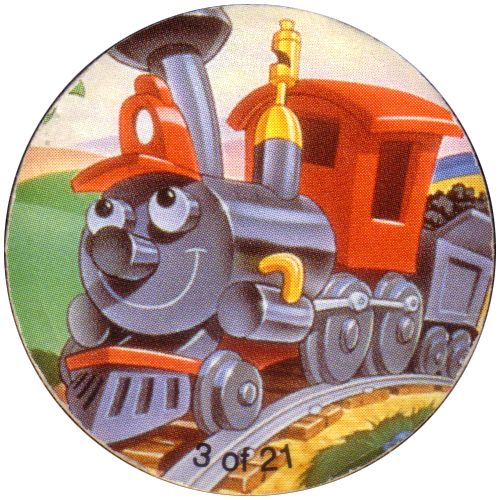 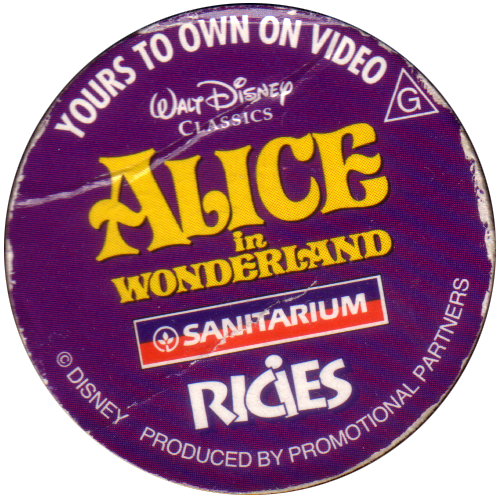 Info:These pogs were given away with packs of Sanitarium Ricies cereal sold in Australia in 1996. 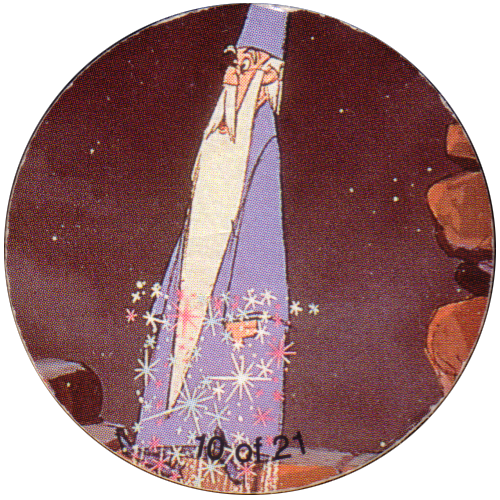 They feature images from various 'classic' Disney films. 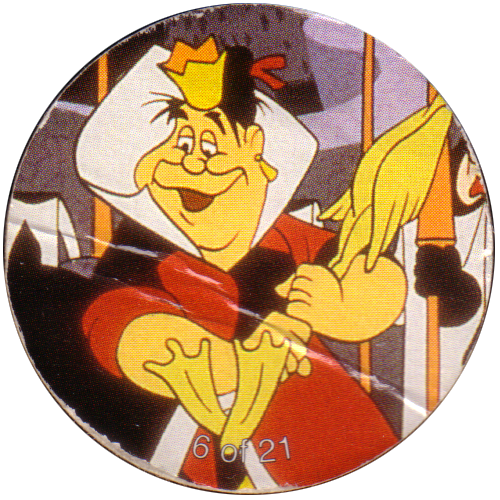 The caps are numbered on the front and give the film the image is from on the back.